Training Management Systems, what is a training management system? A Training Management System or TMS is a system that organizes training curriculums, schedules, training delivery, grading, records and history. Types of training delivered include elearning, online, computer-based, classroom, or simulator learning environments. And so the nightmare begins as the training manager of your organization. You can’t run the simplest report on employees due for training. You’re not sure if an employee actually completed a course because the recordkeeping is so scattered. HR cannot locate a particular document that should be on file. You just want to wake up from this bad dream with a sense of relief realizing you have a system that can house all (not just parts) of your organization’s training. Something that can easily run reports, automatically schedule recurrent training and maintain your HR files. Well, wake up from your training nightmare and see that there is a solution that can make your organization more efficient in its handling of company-wide training. What is the Difference Between an LMS and a TMS? What is a training management system? 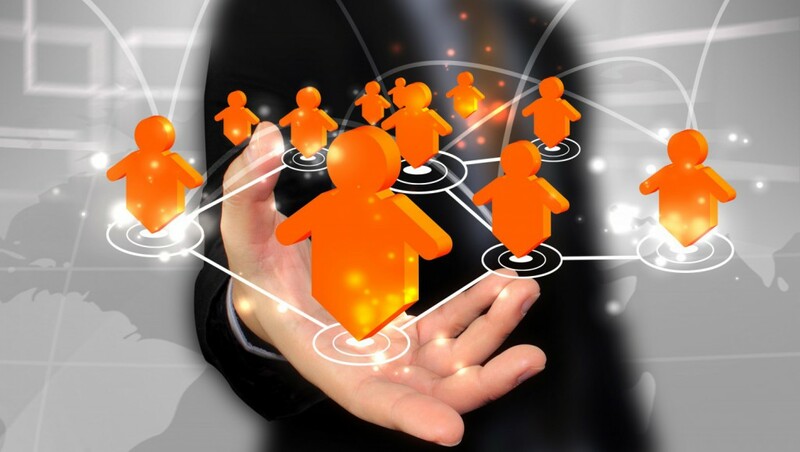 Training management systems are capable of issuing and managing a wide range of company training. First, to truly understand what is a training management system, let’s break down some terms that are thrown around a lot when it comes to training management and understand what they really mean. A Training Management System or TMS is a system that organizes training curriculums, schedules, training delivery, grading, records and training history. A Learning Management System or LMS is basically an online portal through which e-learning courses are delivered. In most cases, LMS’ and TMS’ are separate systems which, in turn, are priced separately. However, ATMS offers both a TMS and an LMS, which allows for the delivery of the training and subsequent recordkeeping information to flow cohesively. The reason why this is so important is that is allows you to more cost effectively and more accurately manage your training program while ensuring compliance. What Kinds of Training Must Your Organization Accomplish? OSHA training, hazmat training, TSA training and/or company-specific training are just some of the areas your organization must cover. Sometimes initial training is followed by a requirement of additional recurrent training within six months, or perhaps one, two or three years later. Essentially, trying to keep track of the plethora of training courses your organization must complete can be both dizzying and mind numbing. Worse yet, having to manually keep track of each employee’s training records in a spreadsheet can be very frustrating. Being dependent on an outside LMS for reporting information can be highly unreliable and inefficient from a time and cost standpoint. The point here is that your organization has a lot of training to cover, but quite possibly, it’s not being managed and delivered in the most efficient manner. No matter what kind of training your organization must administer, ATMS simply put can manage as many courses as you can dream up without the need for spreadsheets, LMS’ and schedules. How Do You Train Your Employees Today? 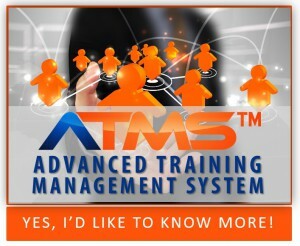 Basically any kind of training you deliver via classroom, PowerPoint or through an existing LMS can be managed by ATMS. Simply and effectively, ATMS contains a built-in LMS and scheduling system that you control. Typical non-company owned LMSs send the employee a web link. The employee then logs in, completes training and the results are sent back to the LMS. Those LMSs are usually not company-owned, therefore interaction from your company, control over approvals, completion and reports are limited and sometimes incomplete. No training manager wishes to tell an employee they must redo a course because of a reporting discrepancy. With ATMS, flexibility is key and we offer the option to load existing training courses into our LMS, build new courses or set up courses for your organization. 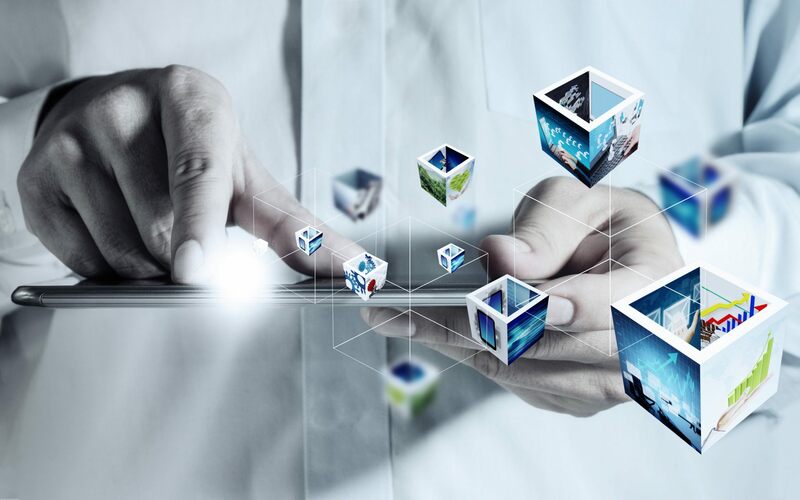 Training courses are offered via any web browser or mobile device from any location with all results driven to you for certainty of approval, completion and reporting. ATMS includes a powerful scheduling tool that can manage classroom and instructor schedules. This allows for a better solution than managing schedules through an Outlook calendar. ATMS’ schedule can also email attendees with their upcoming classes and keep instructors scheduled accurately. All instructor-led coursework can be tracked and set for recurrent training along with managing testing components. What is the Frequency of Your Employees’ Training? Training schedules can be all over the place if your company is required to comply with many federal regulations and company policies. ATMS provides you with the control of approving trainees’ courses, view completion dates, test scores and detailed information such as duration of actual training time. If analytic reporting is a priority, it can be easily accessed through ATMS, or can be created according to your set parameters. Once a course is approved, a recurrent training date can be generated, and if required, certificates of completion can be sent and stored in a trainee’s history. Reports can be printed from ATMS that display who is currently due for training, who has completed during a certain month, and what specific courses have been completed. Done. Never wonder if someone actually completed a course or if they will receive recurrent training again. ATMS can offer your organization a powerful TMS, LMS, schedule, recordkeeping, grading, history and reporting functionality all in one manageable system. Compliance and organization is ensured in one concise location with effective and precise recordkeeping integrated seamlessly throughout the system. Simply put, regardless of the volume of your trainees, training courses, or the complexity of those courses, ATMS can manage it successfully. Wake up from the nightmare and make ATMS your solution to make your organization more efficient and compliant. Discover the TMS Difference. Demo ATMS Today.